This entry was posted on March 4, 2015 by Van Rental. Volkswagen recently unveiled the fourth generation of its popular Caddy. The firm has used this week’s Geneva Motor Show to launch a long wheelbase version of the van, the Caddy Maxi, along with its people-carrying version, the Caddy Maxi Life. The new Volkswagen Caddy Maxi will launch later in 2015. 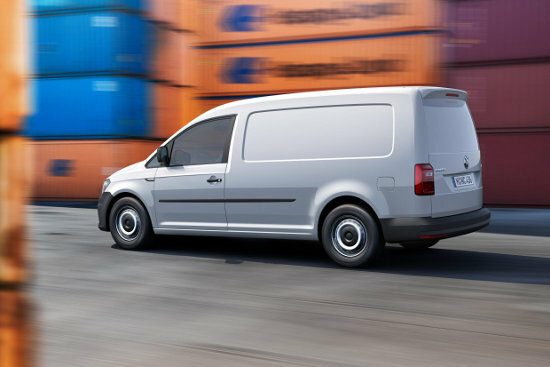 The payload for the Caddy Maxi panel van, including the driver, is up to 1,005 kg, while two roads of folding seats in the Caddy Maxi Life mean that this windowed model also delivers van-like carrying capacity — especially if you remove the second and third rows of seats, which is easily possible, and provides a stupendous 3,700 litres of space, 848 litres more than in the standard wheelbase Caddy Life, with seats removed. As with the standard Caddy, the Caddy Maxi will be powered by Volkswagen’s Euro 6 diesel engines, offering a choice of three power outputs: 75PS, 102PS and 150PS. There was no word in today’s release on whether the old stinkers Euro 5 engines will be available as an alternative, as they are in the standard Caddy, but I guess they probably will be. The Caddy Maxi will gain the same new safety and driver assist options as the standard model, among which will be the option of Adaptive Cruise Control, which hasn’t been available on previous Caddy models. The new Caddy and Caddy Maxi will be launched in Germany at the end of June. UK vehicles will arrive later in the year, as will UK pricing and specification details.